LankaWeb – Where is this government taking the country ? Where is this government taking the country ? Sri Lankan politics is becoming increasingly acrimonious, yet again. 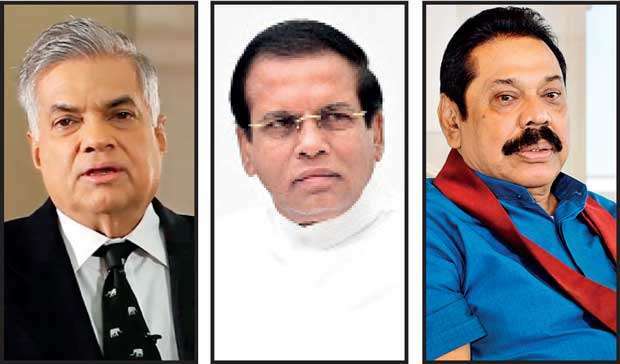 There is a deepening polarization among the UNP and President Maithripala Sirisena on the one hand and the Yahapalanaya Government as a whole and the emboldened Rajapaksa acolytes of the joint opposition on the other hand. The President is openly undermining the Prime Minister. Now that he has implied his plans to run for the presidential election in 2020, this tenuous relationship would get worse. Mr. Wickremesinghe has his fair share of inner party troubles. Within the Tamil politics, the Tamil National Alliance is facing a fratricidal war — one if unchecked could produce another Prabhakaran sometime in the future. Northern Chief Minister C.V. Wigneswaran has resorted to the time tested strategy of the Tamil leadership of the past, who used Tamil nationalism and trumped up grievances with a devastating efficiency to undermine each other, and to drive a wedge between the Northern electorate and the mainstream national politics. Sometimes, one tragedy is not enough for people to learn lessons. Southern youth were duped twice by the same megalomaniac to wage war against the states under similarly trumped up grievances. Isn’t this the point to which the writer is homing in?. I do not know much about Singapore agreement. But ECTA is something that needs to be preceded by a national policy. This is a President installed by India with Indian Colonists block vote. The Indian Colony is a colony of India and not a separate country.